PT Bank Pembangunan Daerah Jawa Barat dan Banten Tbk – PT Bank BJB Tbk (IDX:BJBR) or known as “Bank BJB” is a regional development bank of West Java and Banten Provinces. The Bank is majority owned by the regional government (provincial, regency and municipal) in the West Java and Banten provinces. As of December 2016, Bank BJB is 38.26% owned by West Java provincial Government, 23.61% by Municipal Governments in West Java, 5.37% by Banten provincial Government, 7.76% by Municipal Governments in Banten and 25% remaining shares by investor and public shareholders. Based in Bandung West Java, Bank BJB offer services through 63 branch offices, 311 sub branch offices, 337 cash units, 142 payment points, 11 Mobile Cash Service Units, and 1,216 Bank BJB ATMs spread across Indonesia. 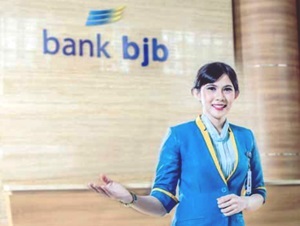 Bank BJB also supported by 3 subsidiaries/affiliated companies; Bank BJB Syariah (98.61%), PT BPR Intan Jabar (36.91%), and PT BPR Karya Utama Jabar (44.32%). According to PT Bank Pembangunan Daerah Jawa Barat dan Banten Tbk Annual Report 2016 as cited by JobsCDC.com, Bank BJB maintain consistency in making positive performance in the business year of 2016. Bank BJB maintains total assets of Rp102.31 trillion in 2016. This number grew by 15.35% from Rp88.69 trillion in 2015. Referring to its annual report, Bank BJB maintains total third party funds of Rp78.48 trillion in 2016. This number is up 16.08% from the previous year. Total third party in 2015 amounted to Rp67.60 trillion. Minimum Bachelor Degree (S1) from a leading and reputable University with minimum accreditation B, majoring any field, except Medical, Nursing, Literature, Art, Education/Teacher, and Religion. Strong academic results with minimum GPA of 3.00 for S1 and 3.25 for S2 on a 4.00 grade scale. Minimum height of 160 cm for Female and 170 cm for Male with proportional height and weight. Preferably have experience as Account Officer for minimum 1 year. Minimum Bachelor Degree (S1) from a leading and reputable University with minimum accreditation B, majoring in Informatics Engineering, Information System, Computer Science, Electrical Engineering, Telecommunication Engineering, Industrial Engineering, Accounting, Banking. Strong understanding about the concept of System Development Life Cycle (SLDC). Advanced knowledge of hardware and software information system. Expertise with programming language; XML, Messaging Format, Object Oriented (Java, C++). Physically and mentally healthy, not color blind (total or partial) and free from the influence of narcotics and other addictive substances. Have good integrity, discipline and high commitment. No direct family currently working as an active employee of Bank BJB up with 2nd degree (father / mother / grandfather / grandmother / husband / wife / son / brother / sister). Willing to be placed in all working area of Bank BJB. Single/not married and willing not to get married during the program.